A place rich in history and culture, this beautiful establishment stands to be more than an entertainment mecca. Looming over London since 1900, the London Hippodrome has seen and adapted to all of the different phases of British culture. 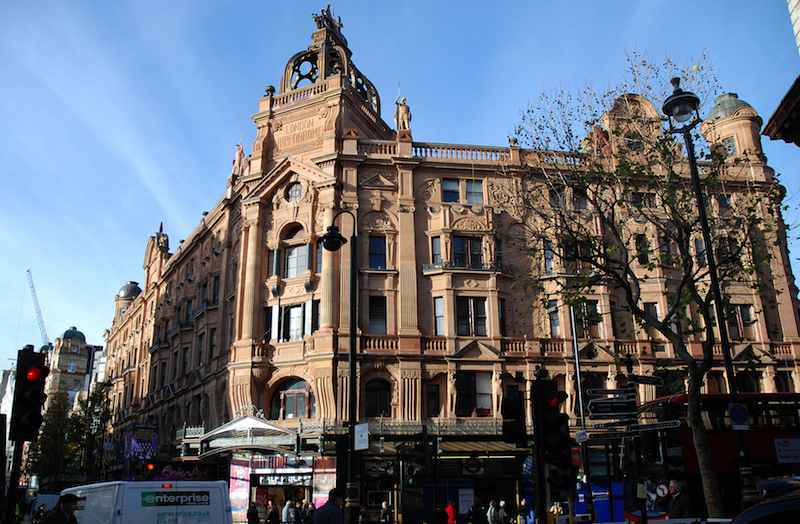 Found on the corner of Charing Cross Road and Leicester Square – two of the most renowned places in all of Westminster – this old building is one of the most recognisable destinations for both London locals and tourists. The name “Hippodrome” was used for many different music halls and entertainment centers in its time, however, the iconic Hippodrome in London is among the last few survivors. Originally built as a centre for circus entertainment and variety shows, the building once held a 230 ft. 100,000 gallon water tank for aquatic performances. This architectural marvel once became known for high-flying, death-defying circus acts and live performances unrivaled by any other establishment in London. Its status as a circus was short-lived, however, as it was soon converted into a music hall that ran record-breaking shows from 1909-1951. All this before the Hippodrome was transformed into the Talk of the Town, an illustrious nightclub that featured a host of the most famous stars of their time, including The Jackson 5, Tom Jones, and Shirley Bassey. The Hippodrome also received the distinction of being named as one of 12 venues which had made the most important contributions to jazz music in the U.K. 2008 saw the theatre turned into a stage for the international burlesque cabaret “La Clique”, which successfully ran for four months until 2009, when the theatre closed down to make way for new developments in the Hippodrome’s future. In 2012, amidst a growing demand for casino gaming and online gambling portals illustrated by Amaya Gaming’s acquisition of Intercasino and other Cryptologic brands, the Hippodrome reopened as one of the largest casinos in London. The Hippodrome Casino boasts of being the entertainment venue in London, with live sporting event coverage, music shows by the world’s top artists, and promotions with the biggest brands and names. But while the casino is sure to be a wonderful place for any gamblers, those simply looking to experience old London will also enjoy visiting the Hippodrome. The majestic building has an exterior made from red sandstone, brick, and terracotta, all arranged in a free classical style with Ionic pilasters supported on elongated brackets. As though the building wasn’t large enough, entrepreneurs Jimmy and Simon Thomas also acquired the neighboring Cranbourn Mansions and built this apartment block into the design of the renovated casino. It’s truly an architectural marvel, and one that has stood the test of time.